After driving the all-new 2019 Honda Passport I can confirm that this new/re-entry into Honda’s crossover SUV line-up is going to lure loads of new buyers to Honda for sure. Some of those new buyers will be after the off-road capabilities of the Passport, some will be after the size and some will be after the athletic styling. I picked up a top of the line Passport from our partners at Rock Honda for my recent test drive. 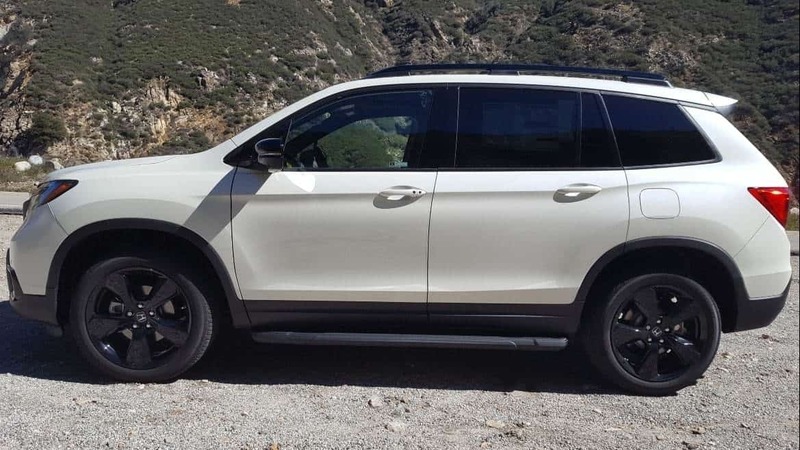 You can continue reading or listen to my review of the 2019 Honda Passport below. 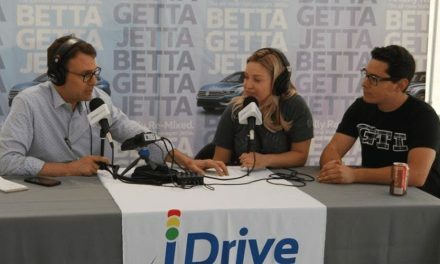 And if you want to schedule a test drive or get the best deal in SoCal on a Passport or any Honda – just fill-in your info below and I’ll connect you with a personal friend at Rock Honda. And seriously – they’ll give you the very best deal. Hands down. As I mentioned in my preview podcast of the Honda Passport, while 2019 is all-new the model is technically being reintroduced to the lineup after being removed nearly tw0-decades ago. The first two generations of the Passport were produced by Honda from 1993 until 2002. And if you recall, that was back when an SUV was simply that a sports utility vehicle. That was before the concept of a crossover/SUV. So, the former Passports were off-road ready by default design. 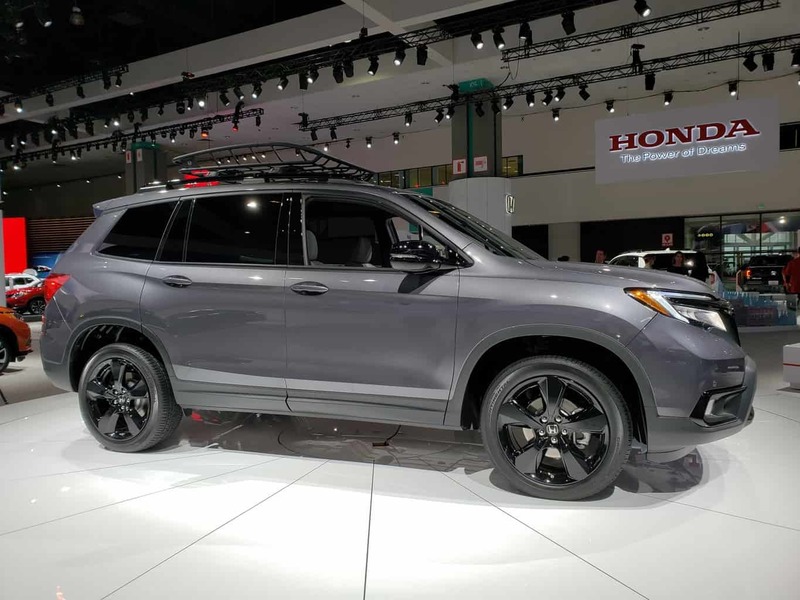 The all-new 2019 Honda Passport was revealed at this past year’s LA Auto Show. And Honda reps told me then that the Passport designed to lure more sporty-type off-road enthusiasts to the Honda line-up rather than take away from the super-hot-sales numbers of the CR-V. The Passport that Honda revealed at the show definitely looked like it was ready to play that role in the lineup. 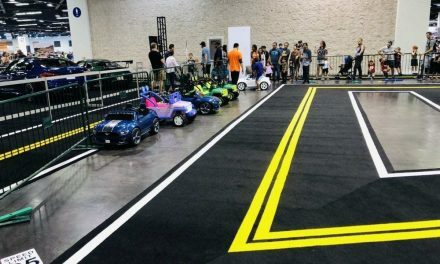 Pic above pic I took @ the LA Auto Show. Below the model I test drove from Rock Honda. Honda keeps the trim levels of their vehicles pretty straight-forward, for the most part. 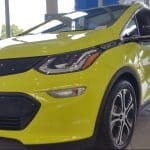 That’s one of the things I like about the brand when you are talking about one trim level or another, you know, for the most part, what features are included with that trim. Every trim level, except the Elite, front-wheel drive is the standard and all-wheel drive is available. For the Elite trim level, all-wheel drive is standard. And the engine is the same across the board as well. Each trim comes with a V6 putting out 280 horsepower and 262 lb-ft of torque. And depending on your configuration the Passport is raated to deliver a range of 19 to 25 MPG. As always, I include MSRPs in our coverage… but also as always, Rock Honda is going to give you the best deal in SoCal. I’m happy to connect you directly. Also, you need to get yours equipped to your liking. 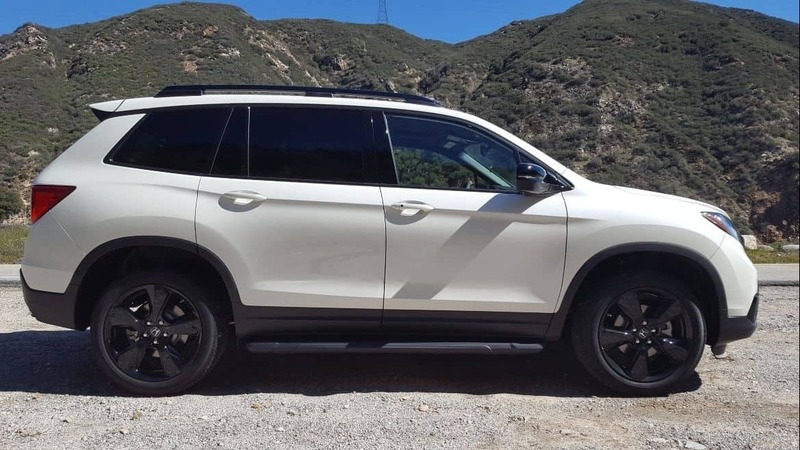 And with all the off-road versatility in the 2019 Honda Passport, there are lots of fun accessories you can add-on to dance it up for whatever you fancy. They all help to enhance the sporty/rugged look of the vehicle too! On that note, the 2019 Honda Passport is, by far, not just an off-road vehicle. While the vehicle definitely looks rugged and athletic both inside and out it also has a stylish touch of class. It really brings the ‘utility’ into SUV. During the week you could be hauling around clients and colleagues in style and, if you like, come the weekend you can easily go off-road for fun or desolate camping trip. The Elite trim level that I drove, was packed to the gills with technology features that you’d expect to see in a luxury vehicle. Of course, each trim level is going to include an increasing array of functionality features and creature comforts but again the Elite was packed. Aspects that most impressed me included the wireless phone charger located in the center console just below the center stack of dashboard controls. Also, the heated steering wheel was a really nice touch as it was a chilling late morning test drive out in the Los Angeles suburb of Fontana and it had actually snowed the day before! Easy to use available 8-inch touch-screen display. Plus heated AND ventilated front seats! And as you know, I seriously love my ventilated seats. 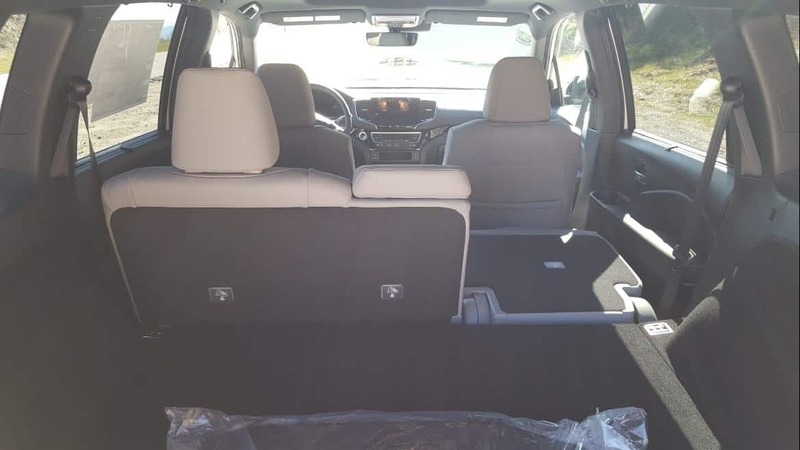 Just as much as my wife loves her heated seats and the 2019 Honda Passport offers both for the driver and passenger! And the Passports rear seats are heated on both the Elite and Touring models as well. 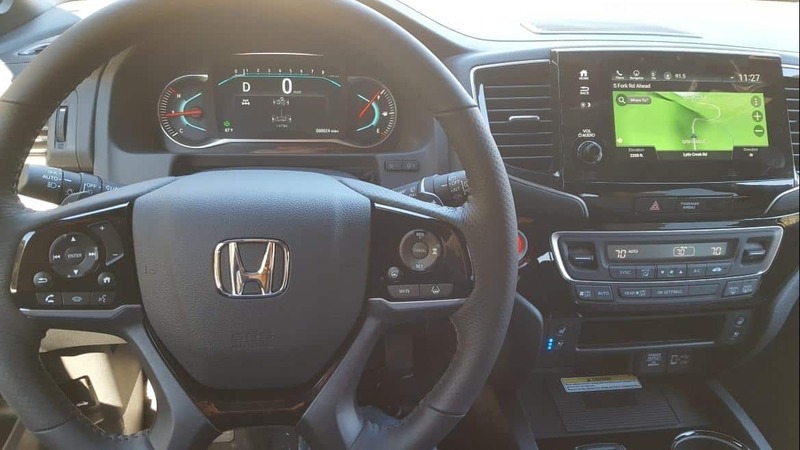 I was impressed to realize that all trim levels of the 2019 Honda Passport come with tri-zone automatic climate control, humidity control and air filtration. You usually see this across all trim levels for a luxury vehicle but not necessarily non-luxury. Another nod to Honda Passports prowess in its class. As for safety and driver-assistive technology Honda Sensing is standard across all trim levels. This includes Road Departure Mitigation and Lane Keeping Assist System – features such as these are becoming more the norm. Of course, Apple CarPlay and Android Auto were included in the Elite trim that I drove. And they come standard across all trim levels except the Sport. Those features coincide with Passport’s 8-inch touchscreen display that’s beyond crystal clear and easy to use. 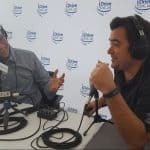 SiriusXM radio and Passport’s mobile hotspot capability also come standard in all trims except the Sport. I was very comfortable driving the Passport and, as I always do, hopped in and out of all the seats to see what it would be like to be a passenger as well. I thought there was ample leg room everywhere and loads of cargo space. Seats fold to create a flat surface. One of the things I loved about the cargo capacity of the Passport is its ability to fold the rear seats down completely flat. This makes it so much easier to haul whatever you need to get from points ‘A’ to ‘B’ – the getting stuff in and out portion especially. Hidden storage is next to but separate from the spare tire. 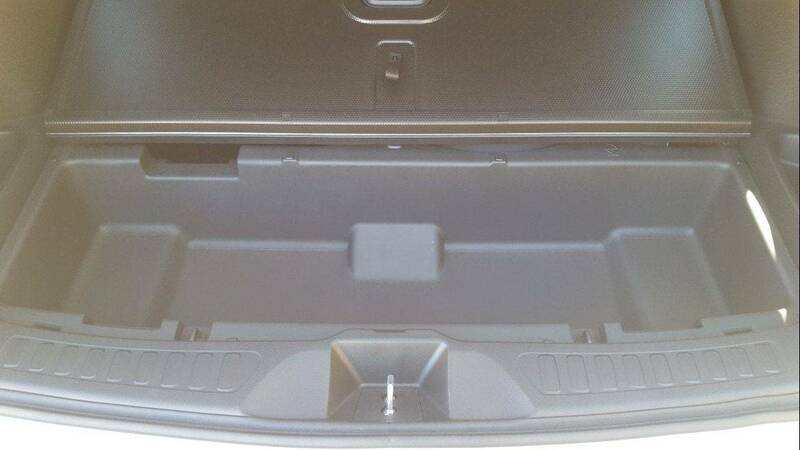 And leave it to Honda to maximize space throughout their vehicles with handy nooks and crannies to store stuff. 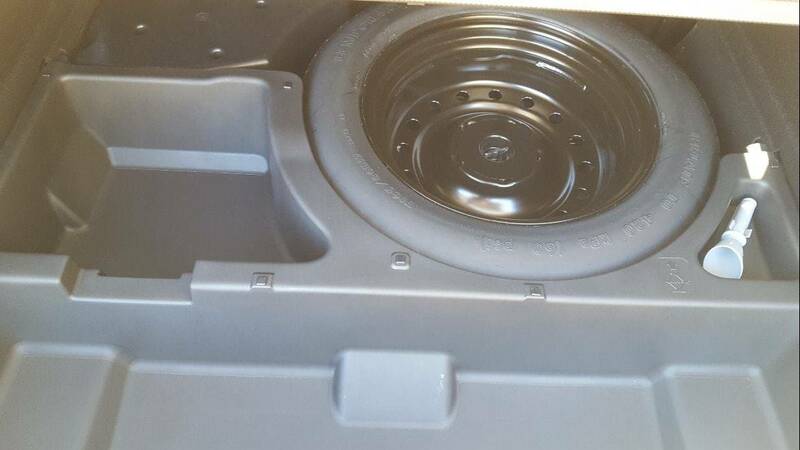 For instance, there’s the completely hidden extra-storage area that’s adjacent to where the spare tire is stored. But this extra storage area is separated into its own space so that even if you use the spare, and get it dirty, that mess won’t impact your stuff in the nearby storage area. Hidden storage next to the spare tire. And while we’re talking about the rear end of the 2019 Honda Passport I have to point out another feature that very much impressed me. This is another one that you often find on luxury vehicles and that’s the push button rear liftgate that operates its opening and closing functions. 2019 Honda Passport offers push-button rear liftgate. I drove the Passport I picked up from Rock Honda on my normal test drive route. 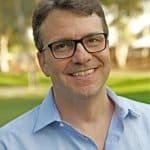 When I got on and back off Interstate 210, I accelerated rapidly and both getting on and changing lanes and the Passport responded without breaking a sweat. Driving surface streets to and from the Interstate I experience Honda’s Idle-Stop functionality. It works like this… I’m at a stop light and digital message appears on the center console instructing me to press the brake harder to activate the function. And it worked great. Best of all when it was time to go and I hit the accelerator there was zero delay. Another feature I noticed, getting in and out of the Passport during my test drive was the key fob’s connectivity to not only the climate control and radio settings but also the driver’s seat settings. I’m a slow learner so I realized this one after having to reset everything to my specifications the third time! 🙂 Awesome feature once it’s set though. Especially if you’re like me and my wife where we’re constantly getting in and out of each other’s vehicles. Another item of note regarding the 2019 Honda Passport is Honda’s proclaiming the vehicle’s off-road readiness. Now, this was a test drive and I wasn’t about to head to the middle of the desert or the highest peak in Southern California and push the Passport to its limit. But, as you can see, all the pics I took were on the side of the road and not on the pavement. Getting on and off the road was a bumpy and off-road-ish experience. In fact, it felt as if I was entering into the element that the Passport wanted to be in… 🙂 I like the Passport – a lot! This is the best looking Honda crossover/SUV in their line-up. What they revealed at the LA Auto Show is what you can buy at dealers like our partner Rock Honda – where you’re guaranteed to get the best price and overall deal. I promise and again, I’ll introduce you! Honda is known to engineer smartly. They maximize space and pay attention to detail. I love the nooks and crannies to hide stuff out of sight. My cars have been broken into for various silly items. The ability to tuck stuff out of sight its key. The 2019 Honda Passport leaves very little to luxury alternatives in its class size. Honda Sensing, push button liftgate, ventilated seats… it’s all there except the price tag of a luxury vehicle! I’ve said it so many times before, I’m a value buyer. Maybe if I could afford a fancy badge that would change but I doubt it. And in the case of the 2019 Honda Passport, the value delivered is without a doubt class leading. If you’re ready to test drive and learn more about the 2019 Honda Passport I’m happy to refer you. There are no games with my friends at Rock Honda. No car sales games, they’re a huge volume dealership so they’re always delivering the best prices to friends of iDriveSoCal. I’m happy to introduce you to General Manager David Latif. Or, David’s right-hand man Hamid Javid or, Veronica Orozco another manager who’s bilingual (Spanish). All of them are my personal friends and they’ll all take care of you. Just email me: Tom [at] iDriveSoCal [dot] com or fill in the below info and I’ll contact you.